The development of Internet technology has resulted in a situation where we have the ability to quickly enter virtual reality spaces from any location. Wide access to the Internet allows us to use its functions in different aspects of our life – including in the pump industry. The pump system monitoring system by Hydro-Vacuum S.A. utilises the potential of Internet technologies. We are able to provide our customers with a product they can use to gain full control over their own pumping systems, such as compressor stations and intermediate pumping stations, without moving from their desks. The general principle of operation of the Hydro-Vacuum S.A. monitoring system is based upon the use of GSM/GPRS technology. 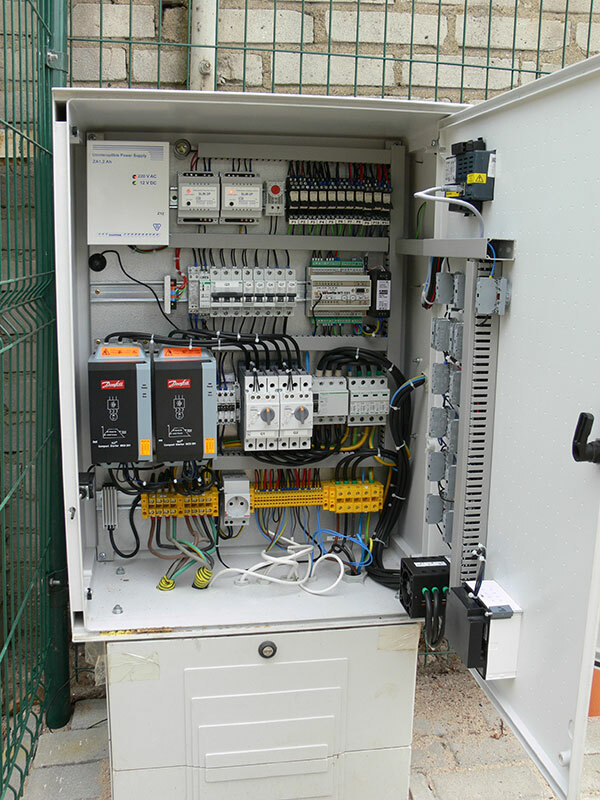 The control cabinet of a pumping station or compressor station is equipped with an appropriate telemeter module, which may be simultaneously a controller, SMS device and GPRS module. All relevant information concerning the condition of the station is transmitted to the telemeter module. Afterwards, the information is sent via the Internet (GPRS) to the receiving device, which is installed next to a computer serving the function of a dispatching centre. After the receipt of a data package, the receiving module saves the data, using specialist communication tools, in a database created on the user's computer. The application uses the data to present the condition of a station in its current location graphically on a screen, which relieves the customer from the necessity of performing a physical inspection of the condition of the pumping or compressor station. The operation of the Hydro-Vacuum S.A. monitoring system can be divided into two parts. The first part is visualisation of the facility’s condition in its location, on the user's computer. 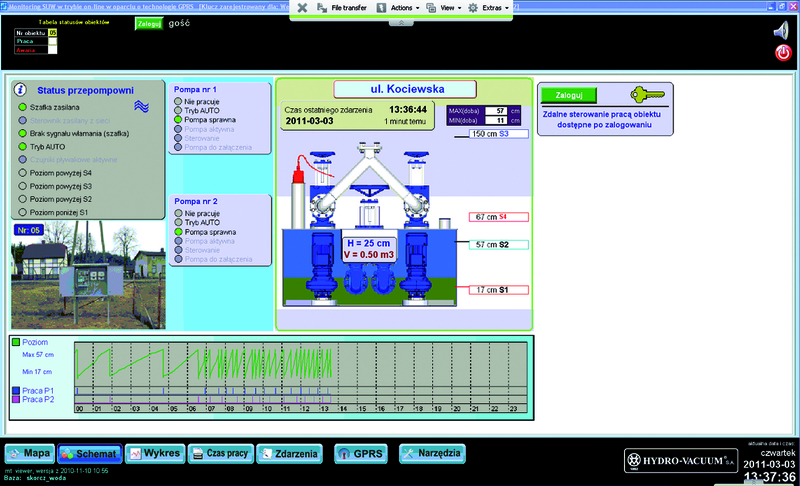 The second part is the possibility of remote control of the station from the visualisation level on the user's computer. Remote control of the station functions in the opposite order to data collection, and the direction of data transmission changes as well. Data collection in the monitoring system proceeds in a time and event manner. This means that if, during a set time, the station condition does not change then the receiving device sends a query to the station in order to confirm its current condition. Communication of this form facilitates early detection of communication failures between the receiving module and distant objects/stations. The Hydro-Vacuum S.A. monitoring system, apart from remote control and station monitoring, provides comprehensive graphic analysis of the operation of a given station. Based on real-time graphs, we can analyse the method of connecting pumps, inflow of medium to a tank, pump operation time, or number of activation times of a given pump. It allows us to initially define the extent of pump use in a given pumping system and to determine the dynamics of the system.